AOAT Shirts are a Hit! 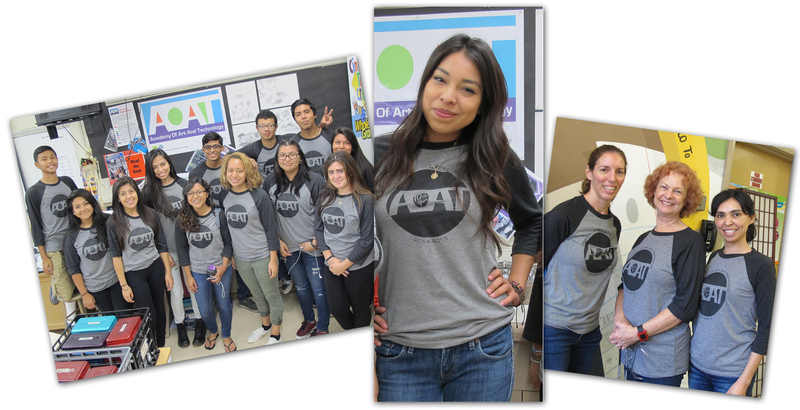 Students and teachers alike are excited to wear the new AOAT shirts, designed by senior Ilci Taximaroa modeling the shirt above. Her winning graphic was voted on by all academy students and the $20 price for each shirt provided a small boost to our fund raising. We like to wear the AOAT shirts on Spirit Fridays to call attention to our program, and to balance Monday’s Dress for Success with a casual end of the school week. Our AOAT family rocks!